The authors of this paper deal with the development of a Robust Position Unit (RPU) based on the real-time implementation of an advanced positioning algorithm. The RPU uses a tightly coupled technique between a mass-market single-frequency GNSS chipset with a low-cost inertial measurement unit (IMU) based on micro-electro-mechanical systems (MEMS) and an odometer. The tight integration algorithm has been obtained through the design of a complex extended Kalman filter (EKF). 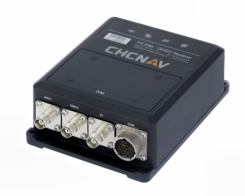 Its performance has been verified running the designed real-time algorithm in different challenging environments. One is an urban scenario characterized by narrow streets, few satellites in view and tree-lined avenues. A second harsh environment is represented by a mountain area where the vehicle has driven through long tunnels, overpasses and sharp road bends. The tests showed how a tight integration algorithm, designed by using raw data from only low-cost sensors, can provide real advantages at a price of careful customizations and adaptations that take into account the particular use and environment. In the designed tight algorithm, additional features and constraints were added with respect to a common tight strategy in order to provide a navigation solution targeted for land applications. Results show a significant decrement of the positioning errors compared to those obtained with other commercial devices. In particular, the tightly-coupled algorithm provides better estimates of the vehicle position and attitude in case of an urban scenario. The improvement was measured following a standardized testing method, considering the horizontal position error and the yaw angle, as the main performance metrics. Moreover, the advantages of the embedded system based on an ad-hoc tightly-coupled strategy become even more evident in case of a mountain road that is characterized by frequent tunnels and steep slopes. The experimental results demonstrate the possibility to employ tightly-coupled architectures in low-cost mass-market devices. 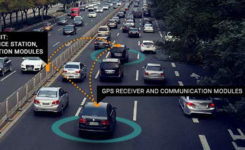 In the future, the improvement of MEMS technology and the evolution of GNSS, with enhanced signal formats, different frequency bands and more satellites in view, are expected to further increase the positioning performance of mass-marked devices, enabling a variety of new services for road users.